CANADA, OUI. ÉTATS UNIS, NON. by Jim Corbran, Automotive Columnist Driving down the street the other day, I saw a small crossover vehicle which looked to be a Kia, but was not a model which I readily recognized. Luckily I caught up to it at the light, and found that it was a Kia Ronda. A car I had completely forgotten about. This thing was such an improvement over the previous, rather dowdy-looking Soul-based Rondo, that I decided I had to set up a test drive for my Artvoice column “You Auto Know.” But, alas, nowhere could I find the new 2015 Kia Rondo. It had so much fallen off my radar that I’d forgotten they stopped selling them in the U.S. a few years back. Surfing over to Kia.ca — the Korean manufacturer’s Canadian web page — answered my questions about the car. Well, all except for the one which asks why we can’t get it here. It’s a neat little car which I just might cross over the bridge to have a closer look at. And while I’m over there I may also checkout the Nissan Micra, a car just as small as it sounds, which is also not available south of the border. Speaking of south of the border, there are a slew of mostly smaller cars and crossovers which are available in Mexico but not here. We’ll look at them another time (and keep our fingers crossed that most of them stay down there!). 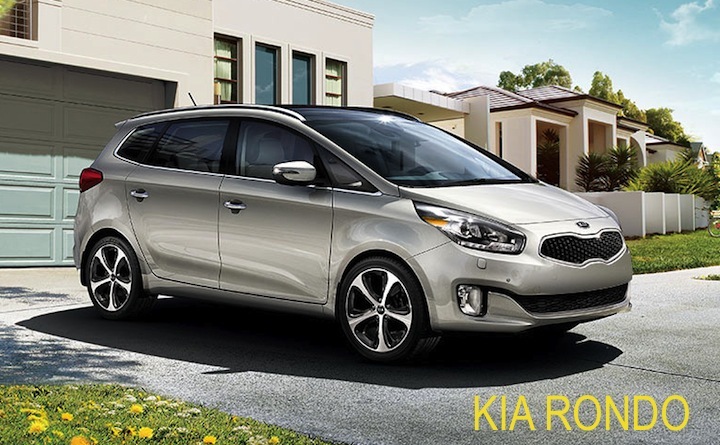 In the mean time, you can check out the new Kia Rondo here: Kia Rondo, Canada ### The post CANADA, OUI. ÉTATS UNIS, NON. appeared first on Buffalo Cars.